After seeing closer photos of the Damtoys and Blitzway collaboration on the Universal Soldier figures, I just couldn't resist them. And overall they are pretty awesome figures. I just love that I finally have a Van Damme figure in my collection at last lol!! Now out of the box, there was an issue with both figures regarding the orientation of the arms and the articulation. Check out the video below for a closer look at the shoulder joint issue and how I fixed the problem. Click through the link below to watch the full video review of the two figures. They look great displayed with other action movie characters from the 80s and 90s! I got mine from Big Bad Toy Store, and unfortunately it looks like all the BBTS stock only came with generic black boxes under the slip cover rather than the proper art boxes shown on the Damtoys website! 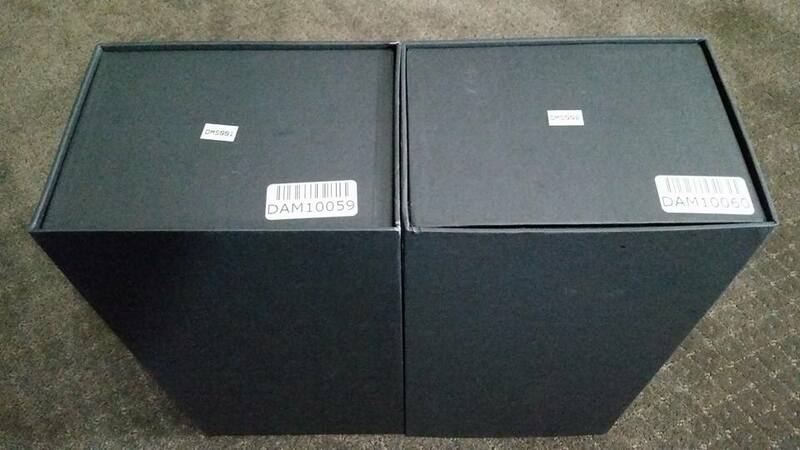 Not sure why this happened, but speculation is that Damtoys ran out of art boxes at the factory and simply started shipping them with generic boxes under the slip cover. Disappointing, but overall not too big a deal since I just display the figures anyway. And out of the box they look fantastic! 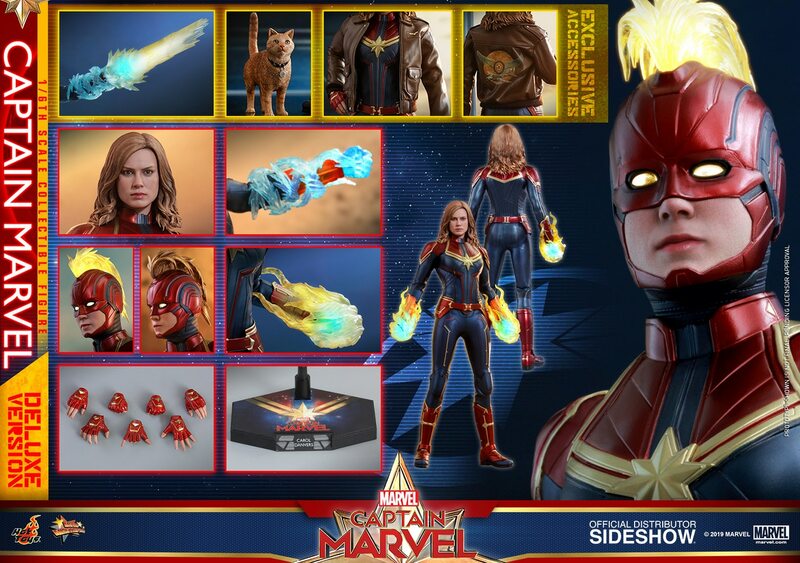 The head sculpts are nice and the array of accessories is pretty nice too. Another thing to note about BBTS stock is that Luc Deveraux does not come with his armour decals applied. The decals actually come in a plastic bag and have to be applied yourself. Lucky the application of the decals is pretty straight forward, and they stick very well. As I mentioned above, the head sculpts are great. The paint app I think is a step above Sideshow human paint apps, but still not quite the realism of Hot Toys. Still, they're very close to HT quality and the mold themselves are great. I think the Van Damme sculpt is better than the Lundgren, and I love that they even included the little bump on his head. The likeness is pretty damn awesome. Once all setup with the accessories, they look fantastic. It's great that they added some extensions for Andrew Scott so that he stands a little taller for that movie accuracy in height. All the buckles and clips function as they should, but just go easy on them in case you snap or break something! The visors are a definite pain in the arse to put on, and I had trouble getting them to sit by the side of the head properly without jutting out. Takes a bit of futzing around, but you can manage to get them on better than me at least. And here they are setup in the display cabinet with the other great action movie characters I love. Definitely a fun addition to my collection! If you're a fan of the movie, I would highly recommend them! Finally got the third member of the Journey to the West gang with Zhu Bajie arriving at last. But overall, it was worth the wait with it being another great addition to the line. Inflames put a lot of effort into the first two, with Sun Wukong and Sha Wujing being of very high quality. Zhu Bajie doesn't come with as many accessories, but the quality is definitely still there. Click through below for my full video review on the Kool Kollectibles YouTube channel! The only concern I have with the figure is the black colouring of the outfit staining the painted torso. Straight out of the box I had a couple of minor paint marks on the torso made by the outfit. Luckily they're covered and not noticeable unless you take his top off, but it does highlight the staining is easy to do and is pretty much irreversible. But all in all, the quality of the staff, hat and costume is outstanding. The head sculpt and paint app is also of very high quality. Posed up together with the others, it makes for a great looking team on display! Can't wait for the last Tang Sanzang (Tripitaka monk) and the white dragon horse set to finally finish off the team!